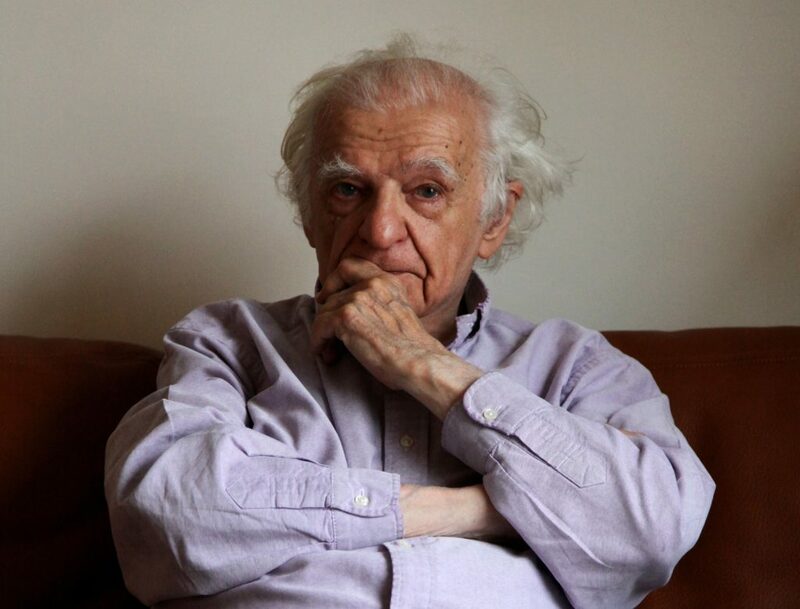 The French poet and critic Yves Bonnefoy, who died on July 1, 2016, was unusually well served by his translators, who shepherded many of his books into publication in English. Thanks to their devotion and talent, readers in the English-speaking world can appreciate why Bonnefoy was, as the New York Times described him, “France’s pre-eminent poet of the postwar era.” The two most prolific publishers of Bonnefoy’s work in English have been Seagull Books and the University of Chicago Press. Seagull’s Naveen Kishore and Chicago’s Alan Thomas invited Bonnefoy’s translators to recall their collaborations with the poet. *** Richard Pevear I first met Yves Bonnefoy at a lunch organized by Jonathan Galassi, who was then an editor at Random House and the poetry editor of The Paris Review. Galway Kinnell, translator of Bonnefoy’s first book of poems, Du mouvement et de l’immobilité de Douve, joined us. He and Galassi had formed a project for translating the four books of poems Bonnefoy had published up to then . The first two were to be published by Ohio University . 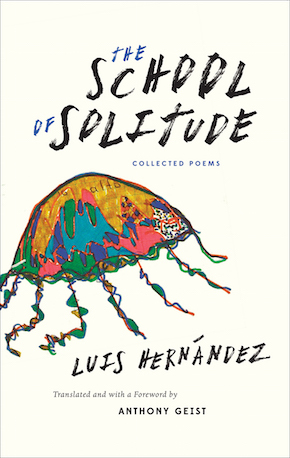 . .
Congrats to Swan Isle Press and Anthony Geist for their translation of The School of Solitude: Collected Poems by Luis Hernández, which was just announced as one of the longlist candidates for the 2016 PEN Literary Award for Poetry in Translation. The book collects the prolific work of the legendary (and legendarily troubled) Peruvian poet Luis Hernández, who published three collections of poetry by the age of twenty-four, not to publish again until his untimely death in 1977 at thirty-six years-old Drawing upon the numerous notebooks he kept in the interim, The School of Solitude is the first book of Hernández’s writing to appear in English. To read more about The School of Solitude, click here. . . . 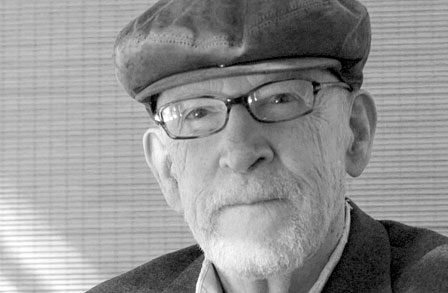 In 1983, the University of Chicago Press published David Ferry’s Strangers, the first book of poems in its Phoenix Poets series, to critical acclaim. 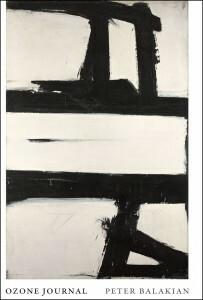 The New York Times Book Review lauded Ferry for his “short, sparse lyrics are as perfectly and simply composed as Japanese haiku,” calling them, “a rare accomplishment in poetry written in English.” Thirty years later, the Press is still publishing a robust list in American poetry, from young poets pushing forward their first books to those still engaged masters, like Ferry, at the peak of storied careers. 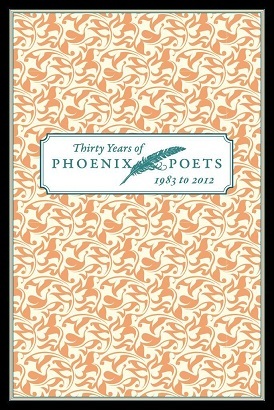 Our free ebook for October, Thirty Years of Phoenix Poets, 1983–2012: An E-Sampler, presents some of the best poets and poems from those three decades, beginning with that first book by David Ferry and ending with his latest, the National Book Award–winning Bewilderment. The selections in between reveal the changing landscape of American poetry, though all are distinguished by keen awareness of the history and possibilities of poetry, as part of the mission of the Phoenix Poets series. Those poets included: Elizabeth Arnold, Peter Balakian, Turner Cassity, Dan Chiasson, Michael Chitwood, W. S. Di Piero, David Ferry, Kenneth Field, Christine Garren, Reginald Gibbons, Susan Hahn, Mark Halliday, Ha . . . Implicit in those lines is a view of poetry which I think is implicit in the few poems I have written that give me any right to speak: poetry as divination, poetry as revelation of the self to the self, as restoration of the culture to itself; poems as elements of continuity, with the aura and authenticity of archaeological finds, where the buried shard has an importance that is not diminished by the importance of the buried city; poetry as a dig, a dig for finds that end up being plants. ‘Digging,’ in fact, was the name of the first poem I wrote where I thought my feelings had got into words, or to put it more accurately, where I thought my feel had had got into words. Its rhythms and noises still please me, although there are a couple of lines in it that have more of the theatricality of the gunslinger than the self-absorption of the digger. 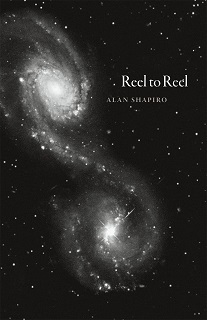 I wrote it in the summer of 1964, almost two years after I had begun to ‘dabble in verses.’ This was the first place where I felt I had done more than make an arrangement of words: I felt that I . . .
From Josh Cook’s review of Recalculating by Charles Bernstein, in the May issue of Bookslut: With translations, imitations, and homages, and with poems of poetry’s motion, and manifestos of politics and poetics, Bernstein has gone beyond a personal anthology of poetics to write a book I struggle to categorize. If you could remove all the term’s negative connotations, all the personal and cultural associations with boredom and restriction, if you could extract the term from the worst of academics and education, you could call Recalculating a textbook. It is the syllabus, the required reading, the example, the supplemental critical exploration, and the challenge. It is a shiv tearing at the fabric of poetry for a glimpse of the poetic future. It is the wall, the empty cans of spray paint, and the graffiti. It is the schematics for every part of the bomb but the fuse; the reader is the fuse. But as explosive as Recalculating is, the image of a bomb isn’t right, for, ultimately Bernstein is not a destroyer but a motivator. At the end of Recalculating, Bernstein wants you to believe poetry has not met its potential. 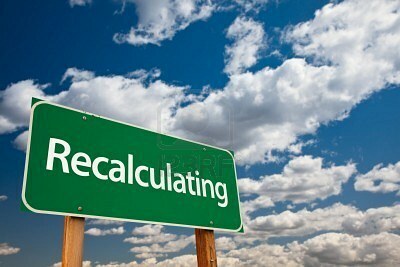 The “recalculating” moment happens when we go off course, miss . . . In wrapping of the year’s best-of-2012 lists, we couldn’t help but single out the University of Chicago Press titles that made the cut as reads worth remembering. With that in mind, here’s a list of our books that earned praise as cream of the crop here and abroad, from scholarly journals, literary blogs, metropolitan newspapers, and the like. 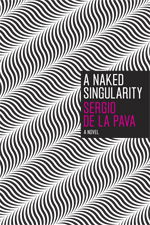 If you’re looking, might we (and others) recommend— A Naked Singularity by Sergio De La Pava made the Philadelphia City Paper’s Best of the Year list named one of the best books of the year by the Houston Chronicle included in Bookriot’s list of the five most overlooked books of 2012 picked as the book of the year by a bookseller at the Oxford Blackwell’s: “ feel so evangelical about I want to run around screaming ‘YOU MUST READ THIS BOOK OR YOUR LIFE WILL BE INCOMPLETE,’ in Billy Graham style.” named one of the ten best fiction books of 2012 by the Wall Street Journal named by Wall Street Journal fiction editor Sam Sacks as one of his own favorite fiction books of 2012 named by Sasha Frere-Jones of the New Yorker as one of his top books of . . .
Where did you go to, when you went away? It is as if you step by step were going Someplace elsewhere into some other range Of speaking, that I had no gift for speaking, Knowing nothing of the language of that place To which you went with naked foot at night Into the wilderness there elsewhere in the bed, Elsewhere somewhere in the house beyond my seeking. I have been so dislanguaged by what happened I cannot speak the words that somewhere you Maybe were speaking to others where you went. Maybe they talk together where they are, Restlessly wandering, along the shore, Waiting for a way to cross the river. —”That Now are Wild and Do Not Remember,” from Bewilderment: New Poems and Translations In 1983, the Phoenix Poets series published its inaugural volume—Strangers: A Book of Poems, by longtime Wellesley College professor David Ferry. 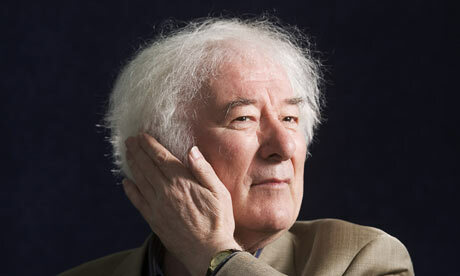 Strangers was Ferry’s second book of his own poems; his first published work was a study on Wordsworth (The Limits of Mortality, 1959), soon followed by his debut collectionOn the Way to the Island (1960). What had Ferry been doing the past two decades? And what sort of risk might be associated with launching . . .